Who Won This Season Of #Billions ? 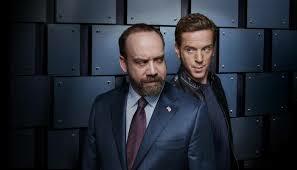 You get the sense, watching Billions that each episode is building towards a cinematic showdown between rivals of equal stature and skill. Season 1 tracked the rivalry between hedge fund manager Bobby Axelrod (Damien Lewis) and Chuck Rhoades (Paul Giamatti), the U.S. attorney determined to take him down for insider trading. In the second season, Chuck and Bobby were still other's sworn enemies. That brings us to the masterful acrobatics of character and plot seen in season 3, which concluded Sunday. Axe and Chuck are still fighting, as they always will be — they're just not fighting with each other. In the finale, Axe and Chuck's thrones are toppled by their protégés. Connerty (Toby Leonard Moore) conspires with the Attorney General to fire Chuck from his position. Taylor Mason (Asia Kate Dillon) slides out from under the shelter of Axe Capital to launch their own hedge fund, and steals both talent and seed money from Axe. Sitting around Chuck's stately dining room table, Chuck and Axe are no longer the formidable champions they were in season 1. But they're already scheming on how to claw their way back to the top. While they're not winners, they surely won't be losers for long.